Similar black (copying bronze) mask handles appear on a Kangxi turquoise-glazed censer in the collection of the Shanghai Museum illustrated in Kangxi Porcelain Wares from the Shanghai Museum Collection, Wang Qingzheng (ed. ), Shanghai Museum/Woods Publishing, Hong Kong, 1998, p. 369, no. 250. 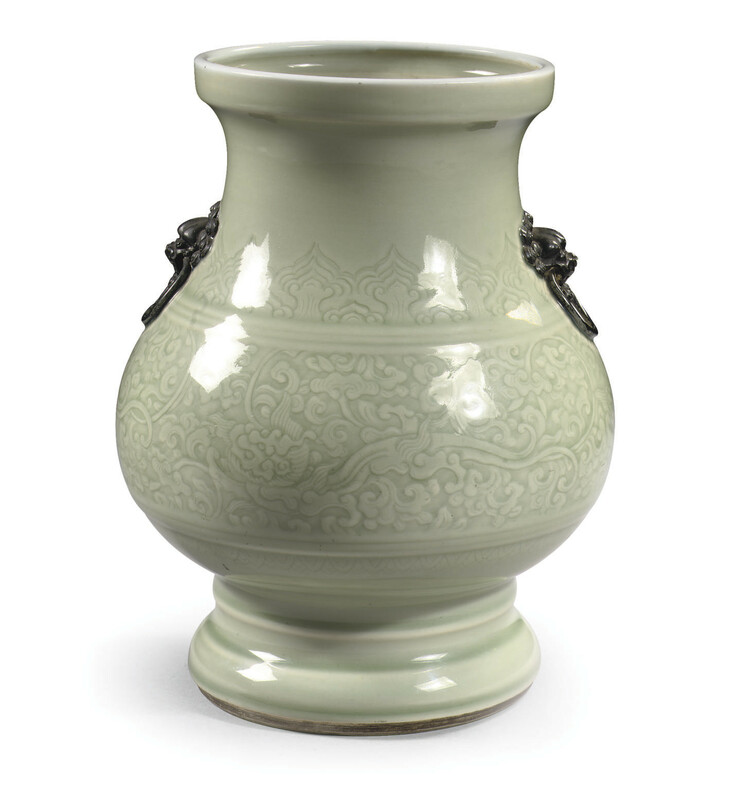 Another archaistic celadon glazed vase with black handles was sold in our New York Rooms, 30 March 2005, lot 429.